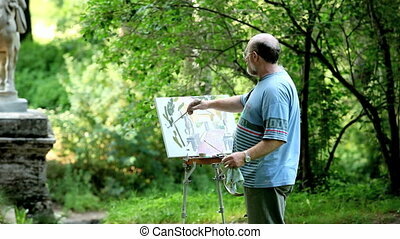 An artist is showing some techniques of painting. 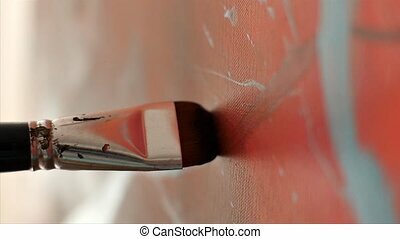 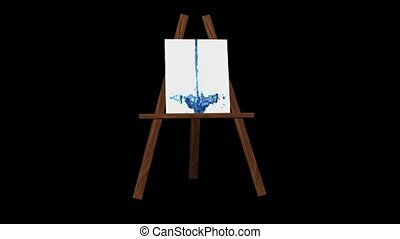 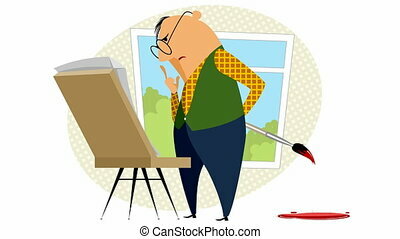 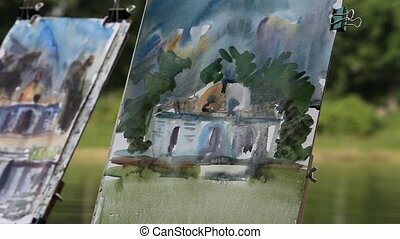 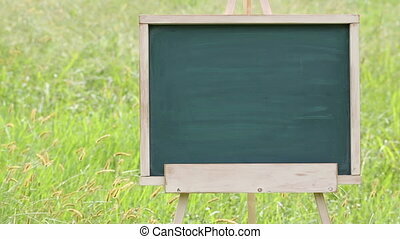 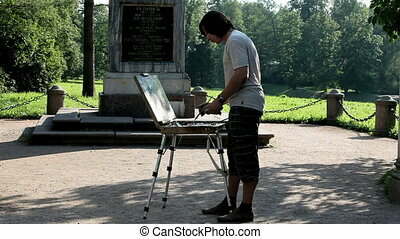 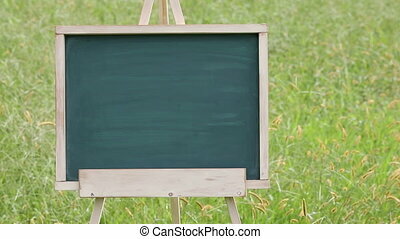 A brush on an easel. 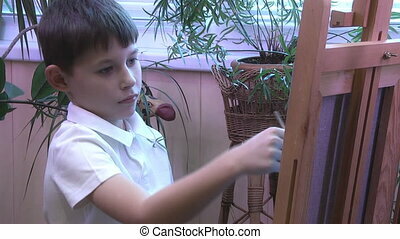 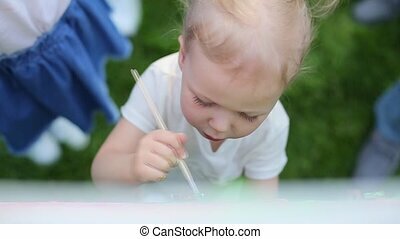 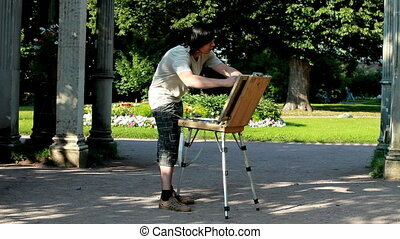 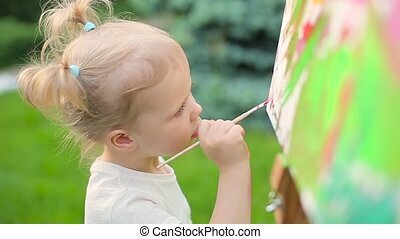 Little girl draws on an easel. 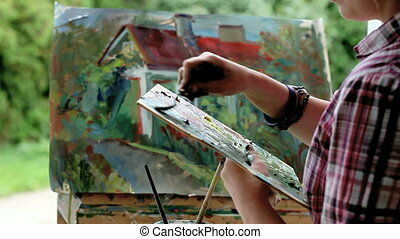 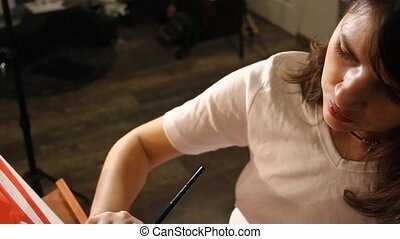 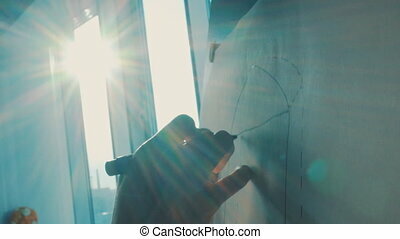 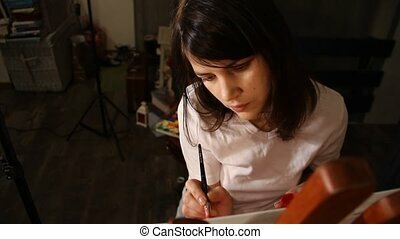 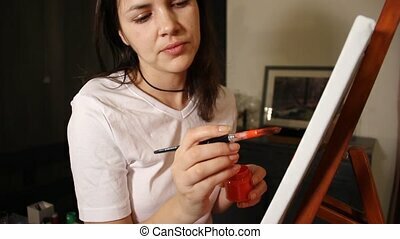 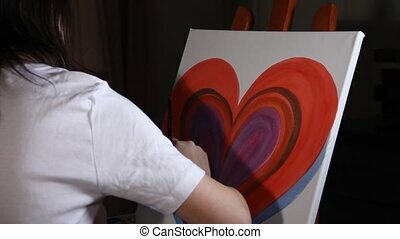 young caucassian woman artist painting a red heart on the easel in her art studio. 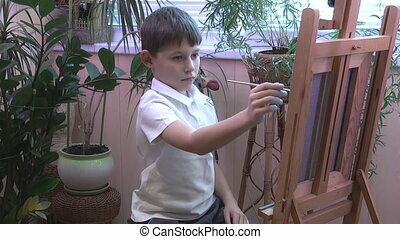 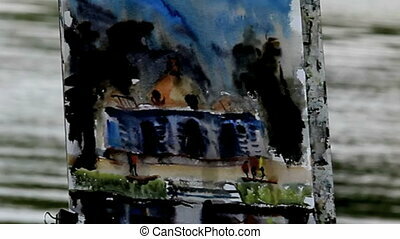 The artist paints a picture.